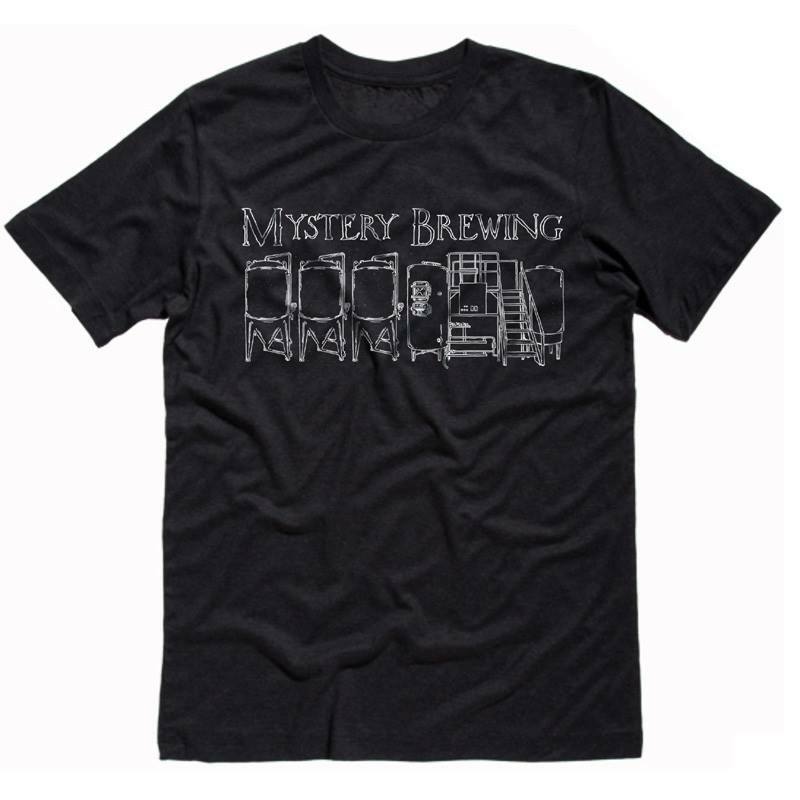 Mystery Brewing Company is the world's first seasonal only brewery. Their brewery and public house are located in Hillsborough, North Carolina, USA. I sat down with brewery founder, Erik Myers to work together to create this mural design based on their brewing facility and hand painted it with Adam Peele in the Public House. The design was later used on various merchandise. Additionally I was lucky enough to work with mystery on a second t-shirt design for 'Art + Science = Beer" and a collaboration beer.